The Canon L USM lenses are regarded as high end lenses with high IQ. The 70-200/4 is an L USM lens. The thread is about the E-M5, which has in body stabilization. The claim was that the Canon equivalent cost 4x as much. 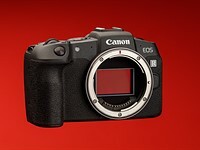 The equ f2.8 version will cost twice as much and weigh 4 x as much. It's only equ in your studio, where DOF, light gathering and noise don't matter. Both lenses are weather sealed and both have IS. "It's only equ in your studio, where DOF, light gathering and noise don't matter." Your a complete and utter idiot, take a 5D fitted with the 70-200 f2.8 and the OMD fitted with the 35-100 f2.8 and both will meter and give the same exposer result. And those two images should be almost identical. They'll meter the same and have approximately equal noise. Of course, that's in theory. In practise it's not quite so clear cut. Since when has noise and depth dof been true equ. All that really counts is reach and light gathering ability, both wiill gather equal amounts of light at the same apertures.